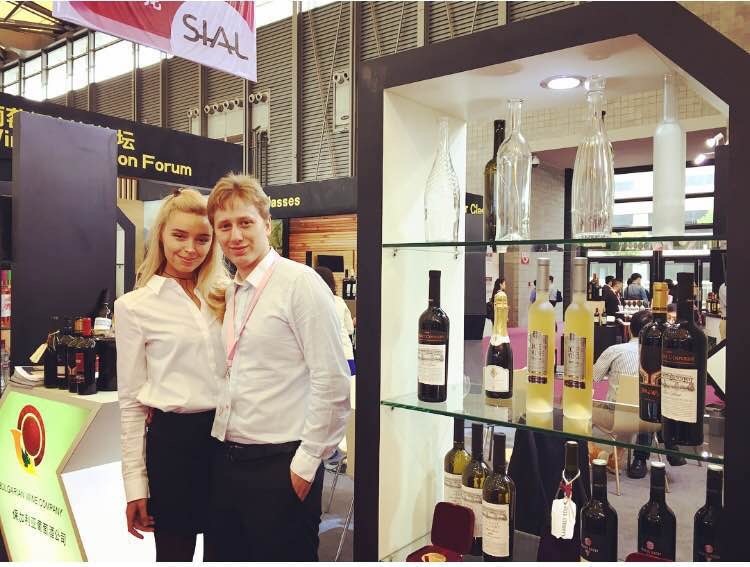 Bulgarian Wine Company participated in the SIAL, China as part of the Bulgarian Wine Pavilion. During the Fair were presented and offered for degustation VINAL winery’s Special Reserve Merlot and Cabernet 2010, NO LABEL – Gamza variety 2011, Balkan Hills 2014, Moon Path 2014 Merlot and Covered Bridge Chardonnay 2014 and Cabernet Sauvignon 2012. The Chinese visitors were able to taste for the first time Eagles Paradise non-alcoholic sparkling wine. The huge interest for our wine brands by the Chinese wine specialists, importers and distributors, journalists and wine enthusiasts brought great joy and satisfaction. It was a pleasure to see our partners in China and meet new friends. See you soon in Pro Wine Shanghai in November 2016.